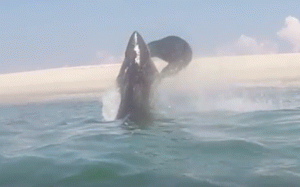 A seal avoids a painful death when it escapes the dangerous jaws of a great white shark. 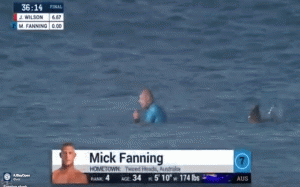 A surfer escapes a shark attack unharmed during a surf competition. 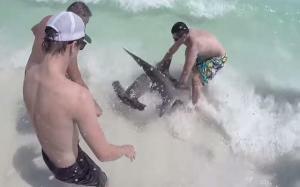 A shark accidentally beaches while trying to catch a seagull and rescuers help to save its life. 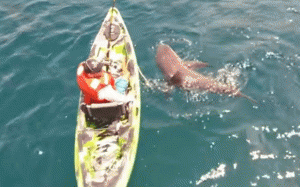 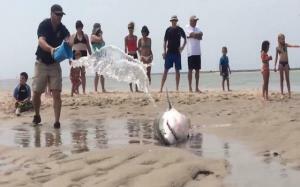 An angler get's the last laugh after catching a shark that flipped over his kayak. 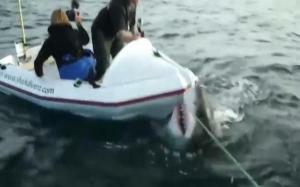 Video of a Great White shark attacking the boat of a camera crew in New Zealand. 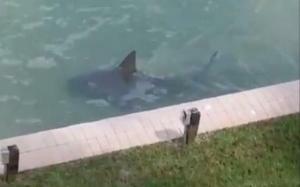 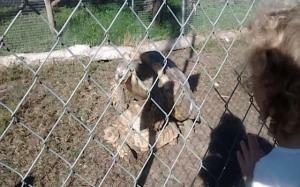 A shark is captured swimming in the back of a residential neighborhood in Florida. 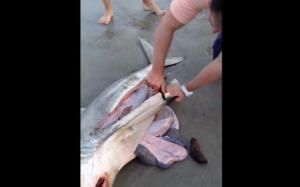 A man cuts the womb of a pregnant lifeless shark open, saving its babies, and releasing them into the ocean. 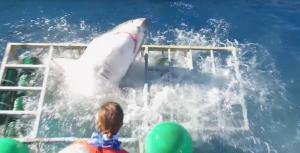 disturbing video of a great white shark attacking another great white.